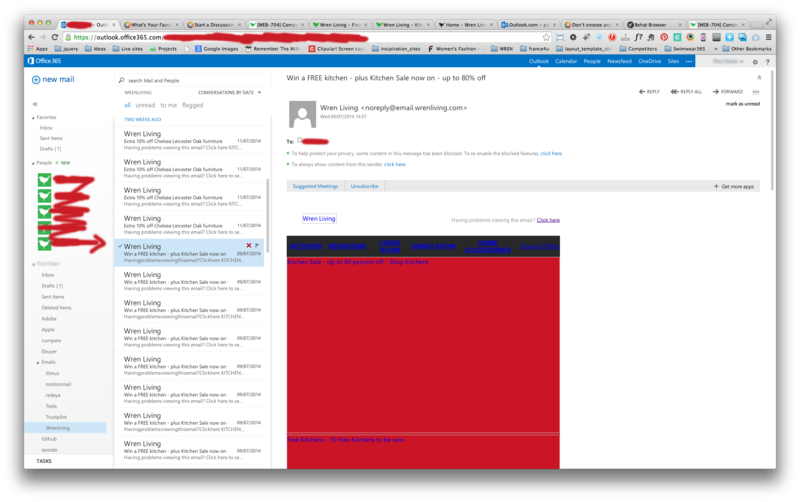 When i send a test to this outlook365 office in chrome - it has removed the spaces of the pre-header text.. I always prefer to make the pre-header text the alt text of a 1x1 pixel image that comes first in the email. how's that work then, thought it was looking for the first bit of html text.. i.e in this case it bringing in having problems viewing this email? Click here.. I noticed you used the <font> tags. These are depricated in HTML5. Try using <span> tags for your styles instead and see if that fixes it.